Are you going to buy a new carpet for your living room? Here are some tips and guidelines which you can consider before purchasing the new carpet for your room. Read on to know more on the living room carpet designs, types & photos, ideas to be thought of in choosing living room carpets and other essential considerations. Carpet can change the whole look of your living room; it is the room which is used for multifunctional activities such as celebrating family occasions, dinner and lunch in front of the TV, entertaining guests and many other activities. It is the favorite area of kids to play or having their food so carpet of your living room should be accommodate according to all these activities and also leave a great impression on your guests. Carpet has its functional characteristic also because it lowers the level of noise and gives a pleasant surface to walk on. It is one of the most influential parts of your living room decor. •	A simple rule to follow while purchasing the carpet for living room is to choose the right color, choose the colour which gives a nice contrast to your decorations. If you have a small living room than it is good to use light color carpet which can help the room to look bigger. •	Neutral colors are the best to decorate with and can give a room a spacious, airy look. Try cool blues or greens to create a calm, peaceful setting, and warm reds or golden shades to make a large space feel cozier. Stains and unwanted marks are the biggest threat to the carpets if you want to hide them than choose patterned carpets or ones with multiple colours. •	It is good to bring the carpet samples home to look at them in all kinds of light, artificial as well as natural, to get a true idea of the colors. It will also help you to check how it will look with the other things in your room. Try to bring the larger sample as it will give more clear idea. •	When it comes to maintain the living room carpets we have to get rid of stains, foot marks and other unwanted marks on it. To solve this problem it is good to choose the light weight carpets which are easy to clean. Pick textured rugs to conceal footprints and vacuum cleaner tracks. •	Always ask a salesperson about cleaning and maintenance requirements before buying the carpet from any store. Do not buy the carpets which need extensive maintenance requirements because it needs lots of time and care. •	Buy stain-resistant carpets which can eliminate the frustration associated with spills and may cut your cleaning time. •	Other important thing which you should consider while carpet for your living room is your Budget. It is not necessary to buy very heavy carpets for your room as these are difficult to maintain and clean so choose light carpets. You can choose feather, polyester, nylon and other synthetics carpets which are available in the market in different colors and patterns at low price. Shop around to find carpet that fits your lifestyle and budget. There are the various types of fibers available - what your carpet is actually made of. The majority of carpet is made from one of six types of fiber each has its own characteristics to consider when buying carpet. The main types are Nylon, Acrylic, Olefin, Polyester and Wool. Different types of carpets are designed to resolve the problems related to carpet flooring in your living room. Carpet can be grouped into three primary constructions; loop pile, cut pile, and cut and loop pile. We are sure that our guidelines and ideas will help you to select the right carpet for your living room. 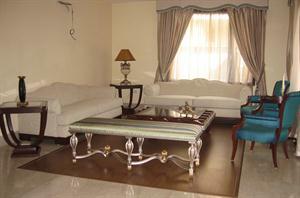 If still have any query related to choose the carpet for living room than feel free to ask.